Amethi : The Congress party has filed a written complaint to Ministry of Home Affairs against an alleged breach of security of party President Rahul Gandhi during his Amethi visit on Wednesday. 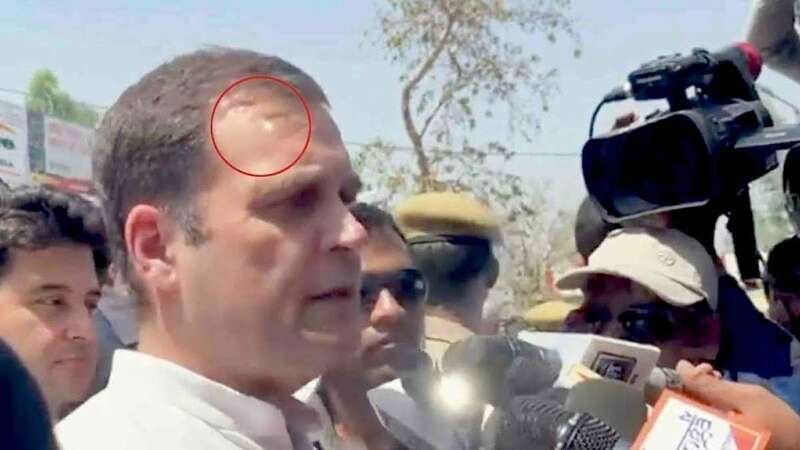 In a letter written to Home Minister Rajnath Singh, the Congress alleged that a laser was pointed at Rahul Gandhi during his interaction with the media after filing his nomination papers from Amethi. It said, "a perusal of his interaction will reflect that a laser was pointed at his head, on at least seven separate occasions". In the letter, Congress also alleged that the laser light could “emanate from a potential weapon such as a sniper gun”. The party also attached a video clip with the letter to prove their allegations. “We urge you to immediately take note of this grave and unacceptable security threat as also the security lapse in the security of the Congress president… This is also an alarming lapse on part of the UP administration which is responsible for the peripheral security,” the letter said. “Rahul Gandhi being a high-risk target is especially vulnerable during the extensive electioneering in the ongoing 2019 elections,” the letter said. It raised demand for an investigation and neutrilisation of a possible threat.